After the DOS Norton Commander, I have used Altap’s Servant Salamander 1.52 for probably a decade. I was obvioously very content with what it did, its size and its speed. Until one or two years ago, when I absolutely needed to be able to handle unicode characters. Servant Salamander 1.52 cannot handle unicode characters. Altap’s followup of Servant Salamander 1.52, the Altap Salamander was not free anymore and so I went on to look for a free replacement of my much loved Salamander. I have checked five or more of the then available and free two pane commanders. The last one I checked was Double Commander, then in version 0.5.4 beta. This version number below 1.0 made me a bit uneasy…. but I sticked to Double Commander since then. I get all of these features from Double Commander, so I’m very happy with it. 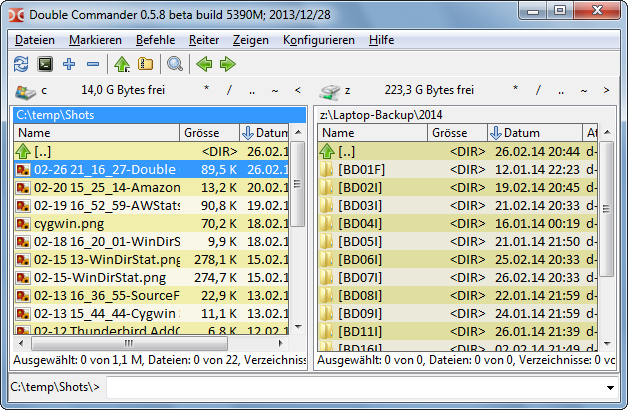 After having used Double Commander some weeks, I got annoyed by the fact that it didn’t handle 7z archives like zip archives. 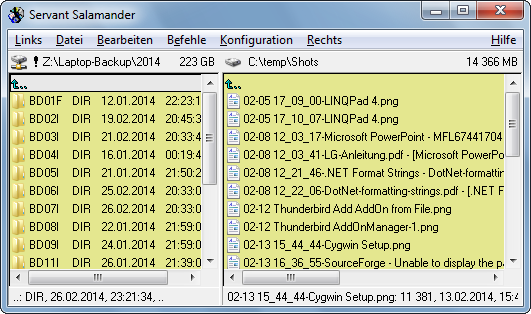 How to add 7-zip support to Double Commander will be explained in another post.